It’s the most wonderful time of the year – and it’s time again for my favorite annual tradition, the Dice Hate Me Holiday Gift Guide! This guide comes to you a bit late in the season this time around, what with all the traveling to cons and wrapping up Kickstarter campaigns and whatnot. But there’s nothing I love more – and nothing that gets me more into the holiday spirit – than sharing some of my favorite easiest-to-recommend games to all of you, Dear Readers! This guide will be great for those of you who are still looking for that special gift of cardboard for the hard-to-shop-for significant other, friend or relative. So sit back, relax with a cup of eggnog or three, and enjoy! Happy Holidays! It’s incredibly rare in any medium for a sequel of sorts to outshine its predecessor, especially when that sequel seems to be a pared-down version with fewer bells and whistles. But from time to time, the careful editing, distillation of fun, and passionate attention to what makes the grand predecessor great can produce something even more special for fans. Agricola: All Creatures Great and Small is one of those rare gems – a game that takes all the best parts of its bigger Euro brother and makes it even more accessible and enjoyable to put on the table. Plus, it’s filled to the brim with animeeples – those adorable little wooden critters that instantly bring a smile to any gamer’s face. I can’t imagine a more enjoyable holiday pastime than stacking a passel of wooden pigs into a 2-inch pen. After playing Agricola: All Creatures Big And Small, I’m sure you – and your significant other – will wholeheartedly agree. 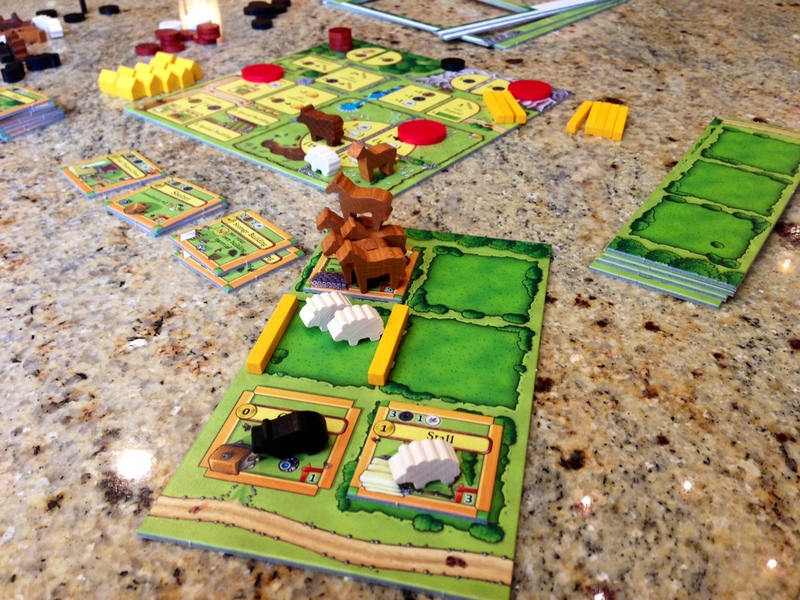 Agricola: All Creatures Big And Small is a game for 2 fun-loving farmers by Uwe Rosenberg. It retails for about $28 and you can buy it online here or at your Favorite Local Game Store. The original Bang! is, hands down, one of the best large group games that has ever been produced, and certainly one that my game group has enjoyed for many years. 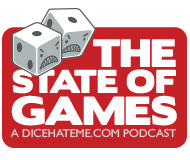 So when a dice version was announced for Essen 2013 release, I was ecstatic – but also a bit trepidatious. After all, how often can you improve on a classic that involves so much fun card play by replacing that large deck with a set of five dice? 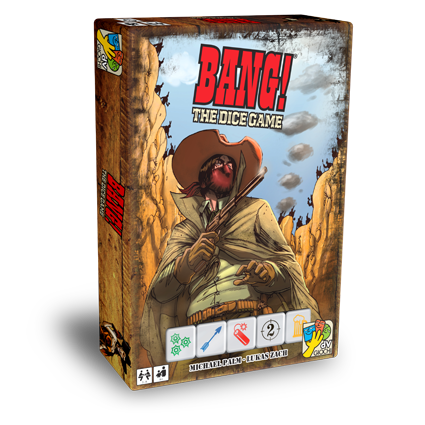 My nervousness turned out to be unfounded – all the Wild West action of the original was uniquely adapted with the dice to a far shorter playing time and a more tense press-your-luck style of play that made an already-brutal game even bloodier. All the hidden roles, special characters and wild social play are still there from the original, but now players can practice their quick draws with custom dice. And those brutal cubes certainly do not detract from the fun – rather, they tend to equalize the gunfight, putting every gunslinger on equal ground. Bang! The Dice Game is a game for 3-8 gunslingers by Michael Palm and Lukas Zach. It retails for $15 and you can buy it online here or at your Favorite Local Game Store. Fantasy Flight Games’ Arkham Horror first appeared on the Holiday Guide way back in 2010, and it’s still a solid buy for anyone on your list who appreciates longer, involved games or the works of H.P. Lovecraft. Now, however, there is an alternate selection for the gaming shelf in Eldritch Horror. Many reviewers are likening Eldritch Horror to the love-child of Elder Sign and Arkham Horror, but that’s not entirely a fair comparison. Eldritch Horror is just as immersive for storytelling as Arkham Horror, but the gameplay serves to streamline some of the more complex monster, gate and adaptive character mechanics of the latter. Anyone who has played Arkham Horror will instantly be enthralled and understand the core play of this game; however, those who may be new to this style of storytelling co-op will find it far easier to get involved in the action. I recently convinced my mom to give this a try with us and she loved every minute of it. If that’s not a ringing endorsement for introducing a little horror into your holidays, I’m not sure what would be. 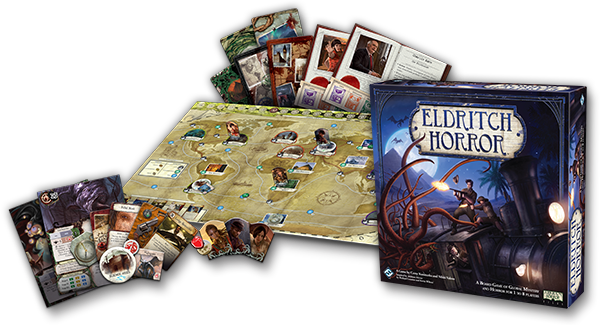 Eldritch Horror is a game for 1-8 intrepid investigators from Corey Konieczka, Richard Launius and Nikki Valens. It retails for about $45 and you can buy it online here or at your Favorite Local Game Store. Tier auf Tier or Animal Upon Animal is another game on the list that has adorable little wooden critters. Whereas in Agricola: All Creatures Big And Small your goal is to grow your farm to overflowing with the little wooden dudes, in Tier auf Tier your goal is much simpler: Just stack ‘em! Each player is given three cards with three animals on them. 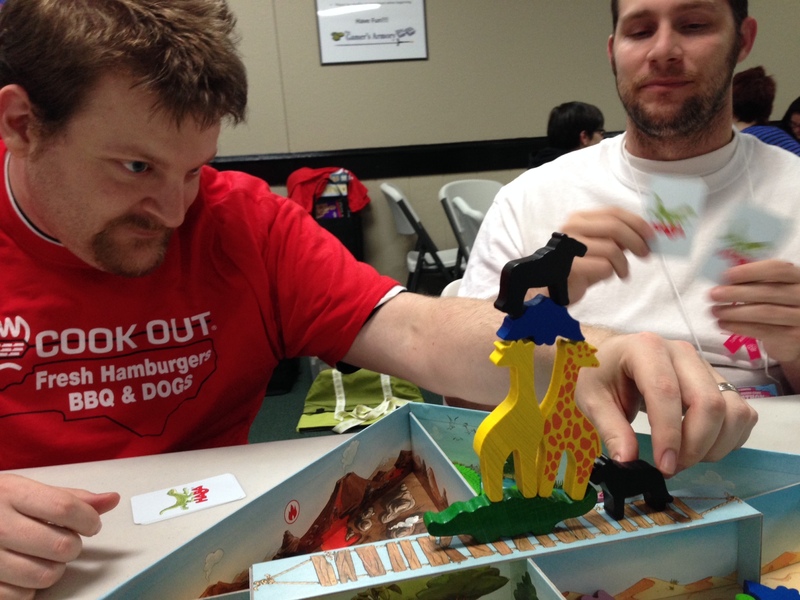 Your mission is to somehow build a connection among those three animals during the game. Each round, you’ll roll a die that allows you to pick an animal from four different areas and place them on the bridge, either leaning on another animal or stacked on top. If you successfully place your animal without anything falling, you get that much closer to your goal. If the stack falls, you take another card. The player who gets rid of all their cards is the winner! The game is quick, easy to play, and the wooden pieces are easy enough for the youngest and oldest players to adeptly handle and build a crazy tower of wooden critters. Win or not, it’s satisfying just seeing the amazing animal towers you can amass! Tier auf Tier is a game for 2-4 animal wranglers by Klaus Miltenberger. It retails for about $35 and you can buy it online here or at your Favorite Local Game Store. It’s no mystery that I’m a history junkie, but you really don’t have to know Descartes from Depeche Mode in order to play Timeline. This series of games is all about placing a card with an item, person or event somewhere along the established timeline on the table. In Timeline: Inventions, for example, you may have to figure out when the pressure cooker was invented. Was it before or after the invention of blue jeans? What about the typewriter and the submarine – which came first? If you can correctly place your card in the right time slot, you’ll get closer to winning. Guess wrong and you get another card, and even more choices. This is a game that fosters laughing, discussion, and, surprisingly enough, learning amongst a very diverse group of gamers, making it the perfect compact holiday surprise for anyone’s stocking. Timeline is a game for 2-8 time travelers by Frédéric Henry. It retails for about $12 and you can buy it online here or from your Favorite Local Game Store. As much an annual tradition of the Holiday Guide itself is an entry from the Dice Hate Me Games catalog. But we wouldn’t produce these games if we didn’t think they were perfect for gifting! This holiday season, we argue the case for chemistry. Designer Darrell Louder’s Compounded is a no-brainer for anyone interested in applied sciences, but it also happens to be fun even if you don’t know your H20 from your CO2. In the game, players collect elements on their lab tables, working furiously to complete compounds in the lab before the other scientists do. Players will collect lab tools, improve their ongoing experiments and, sometimes, work with the other scientists in order to further their status in the lab – and all for the sake of science! 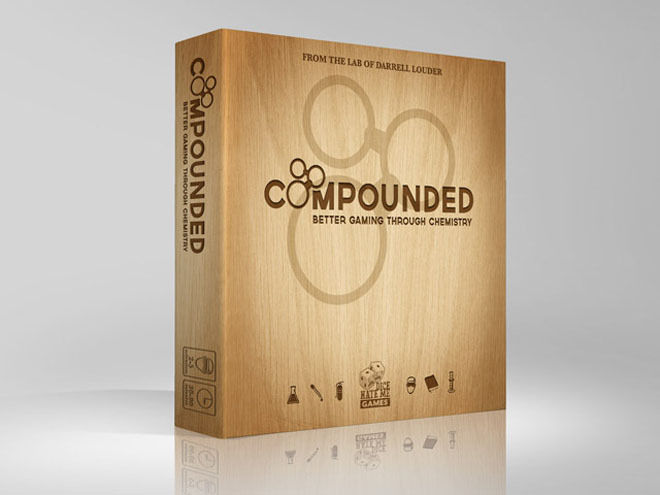 Compounded is a game for 2-5 scientists by Darrell Louder. It retails for $35 and you can buy it online here or from your Favorite Local Game Store. Every year there seems to be a game that comes out of nowhere to steal hearts and impress jaded gamers. For me, that game is Gravwell. The concept of Gravwell is simple in theory: Use drafted Element cards to move your ship closer and closer to the warp gate and escape the 9th dimension. The trick is in how those cards are used. One card draws your ship closer to the nearest point of gravity – either another player’s ship or one of the derelicts drifting through space. Another card pushes you away from that point of gravity, and yet another draws everyone on the board closer to your ship. All card plays are simultaneous but resolved alphabetically by the element name, so second-guessing what your opponent is going to play so you don’t slingshot back to the beginning is very important. Gravwell’s elegant and simple gameplay makes it very approachable by almost any gamer, but its deep and engaging card play, ship movement and player interactivity will have you trying to escape the 9th dimension over and over this holiday season. 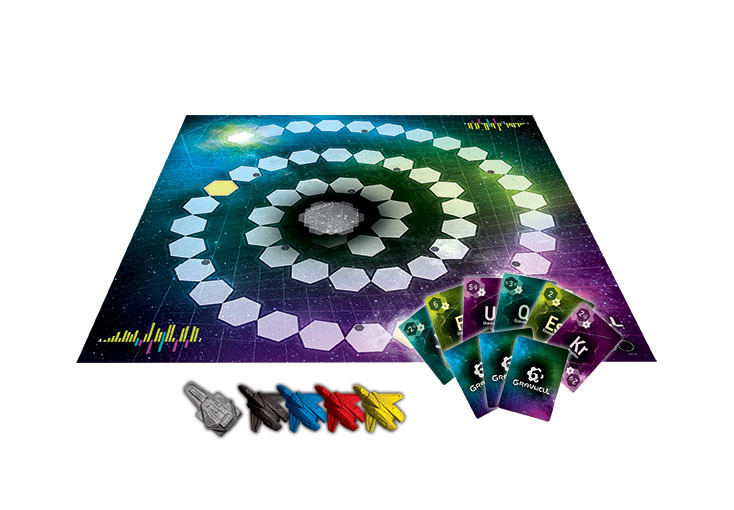 Gravwell is a game for 1-4 space jockeys by Corey Young. 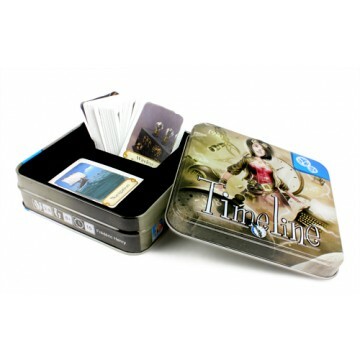 It retails for about $35 and you can buy it online here or from your Favorite Local Game Store. Every gaming group has a dungeon crawler – that one guy or gal that brings their suitcase full of Descent to every game night expecting the group to hack and slash through 20 levels of monsters for 8 hours straight. Sure it can be fun, but who has the time? Gauntlet of Fools satisfies that thirst for bloodshed and gold in a mere 20 minutes, and it adds a lot of mirth to the usual monsters and magic. In Gauntlet of Fools, players draft heroes with varying weapons that change from game to game, either taking a hero in the center of the table or one that another player has already chosen. If they take another player’s hero, however, they have to add one or more boasts – things such as One Hand Tied Behind My Back or Hungover that add handicaps to their heroes. All heroes then run the Gauntlet, fighting monsters and earning gold until everyone is dead. That usually happens pretty quickly. The most gold wins! It’s satisfyingly quick and every game is completely different because of the hero/weapon combinations and the types of monsters that appear in the Gauntlet. So this Christmas, don’t spend the whole holiday setting up your dungeon of Descent – throw Gauntlet of Fools on the table and crawl through 20 dungeons in the same amount of time! 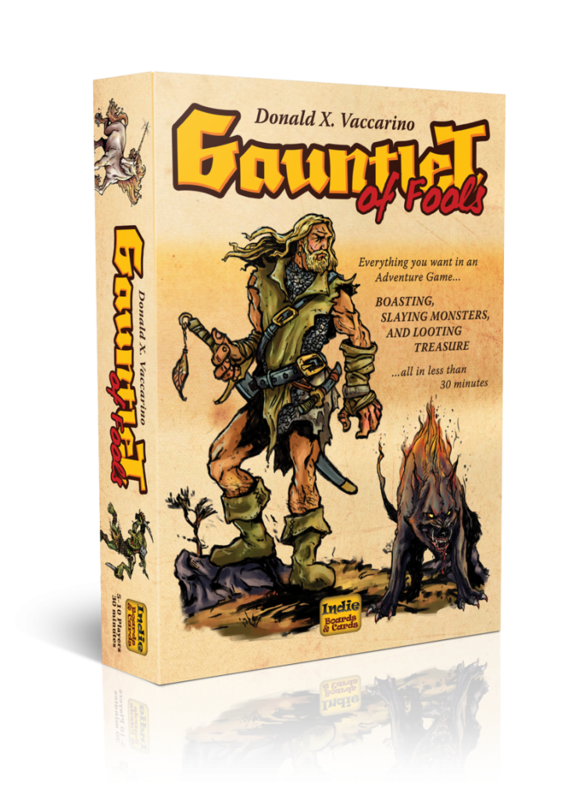 Gauntlet of Fools is a game for 2-6 barbarians by Donald X. Vaccarino. It retails for $20 and you can buy it online here or from your Favorite Local Game Store. Trust me, if there’s one thing your mom could probably use a little more of around the holidays, it’s a fine glass of wine. Luckily, you can give her the next best thing – a board game about making wine! Jamey Stegmaier’s Viticulture is a tall glass of gaming that will easily appeal to most any gamer’s refined palette. In this very approachable Euro, players compete to manage the best winery in the region, either producing and peddling the best bottles to consumers, or creating the most desirable tourist destination and selling off the valuable grapes to other wineries. Although there’s more than a fair share of worker placement and tableau building, the random and approachable card management mechanics in the game keep it light and refreshing, play after play. 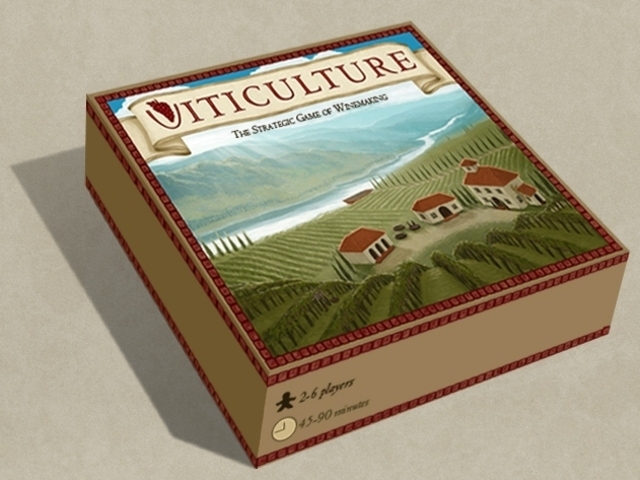 Viticulture is a game for 2-6 sommeliers from Jamey Stegmaier and Alan Stone. It retails for about $100 and you can buy it online here or at your Favorite Local Game Store. Allow me to set the scene: It’s after dinner and 10-year old Tyler has had two cookies and three slices of pecan pie. His mother has taken away his Nintendo DS because it’s time for him to be sociable with the rest of the family. He’s crawling the walls at this point. This is not the time to break out Monopoly or, God forbid, a heavy Euro. No, you need something active, something unique. I’d recommend PitchCar, but that’s in another Holiday Guide. No, this time you need… Maximum Throwdown. Because what’s more fun than playing cards when you get to throw them? Don’t answer that, the answer is NOTHING. 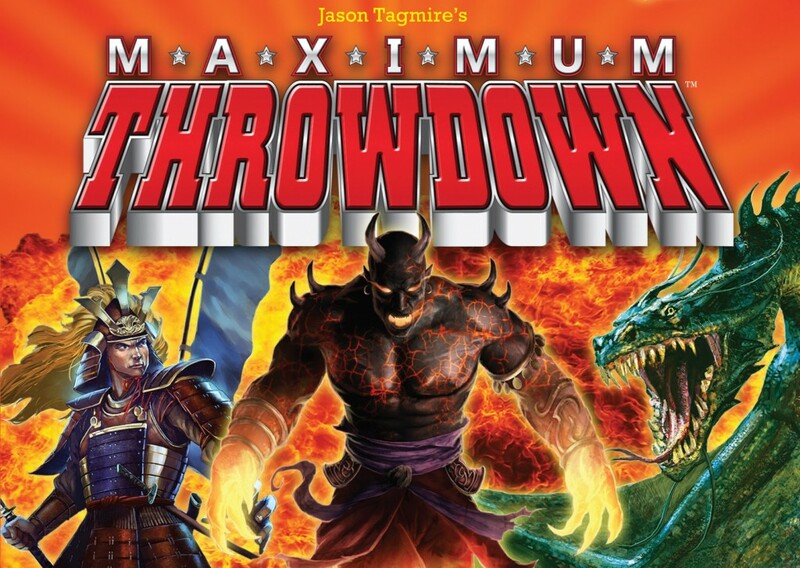 Maximum Throwdown is a game for 2-6 card checkers from Jason Tagmire. It retails for $16 and you can buy it online here or at your Favorite Local Game Store. The phenomena of Firefly’s fanbase continues to amaze me. It’s been over 10 years since the show aired on Fox and still the brand is showing strong. I mean, I’m an original Browncoat but even I can’t believe in the power of that longevity. But I will say one thing: I’m very grateful for it. For without it, the Firefly board game would not exist, and that would be a tragedy. The beauty of Gale Force Nine’s translation of the Firefly universe to tabletop experience is near-flawless, and fans of the show will delight in the the references, characters and attention to detail that dot the cardboard landscape. The most beautiful thing about this game, however, is that even if you have friend and family gathered that are not diehard fans, they’ll still enjoy the immersive gameplay and the myriad options from which to choose in creating their team’s story. It’s not a short game by any means, but once the weather outside gets frightful, the Firefly will be so delightful. Trust me, no power in the ‘Verse will make you want to stop this game. Shiny! 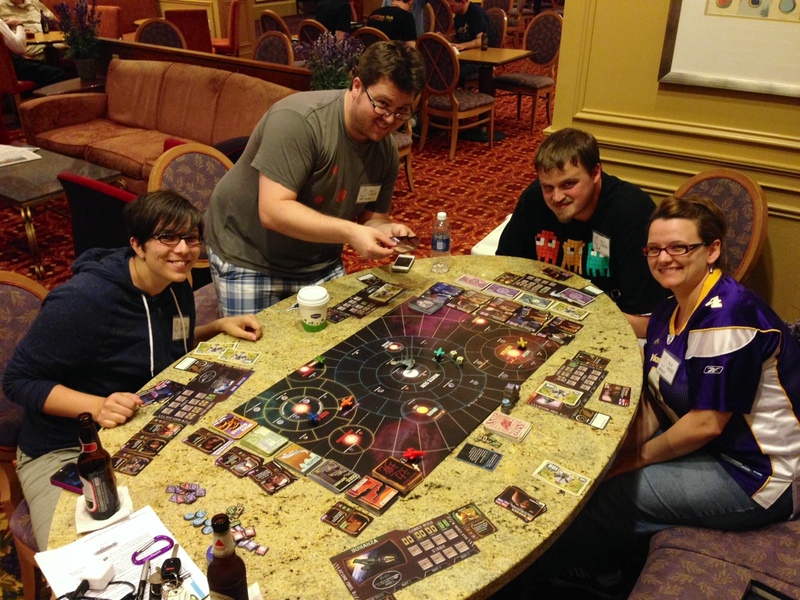 Firefly is a game for 1-4 space cowboys from Aaron Dill, John Kovaleski and Sean Sweigart. It retails for about $42 and you can buy it online here or at your Favorite Local Game Store. Hands down, one of the best digital ports of an analog favorite, ever. Even if the AI does cheat! Buy it for $6.99 here or at your Favorite Local Game Store. Possibly the best social bluffing game of 2013. 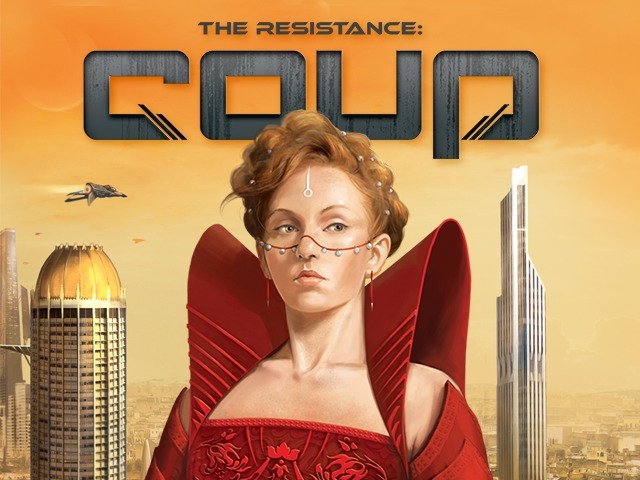 If you’re trading face punches around the dinner table and it’s not while playing Coup, you’re just doing the holidays all wrong. Buy it for about $15 here or at your Favorite Local Game Store. Easy to learn, easy to play, you don’t have to remember if you’re on action #23 or #234, and, best of all, The Flash! Yeah, yeah, Batman is also in there. C’mon, people, branch out. Buy it for about $27 here or at your Favorite Local Game Store. Tier auf Tier looks hilarious. I love games that have an element of physical skill. This seems like a great one for family gatherings with a range of skill levels and interest in games. Compounded also looks really cool. I would love to see more games that draw on dynamics from the real world, like creating chemical reactions. Great article. Gauntlet of Fools is awful though. I’d rather play Dungeon Roll or Dungeon Heroes, or anything ever. A fine list indeed. I will add Guildhall as Best Get The Family Together game. I think Trains from AEG is a much better choice for people who love Dominion. 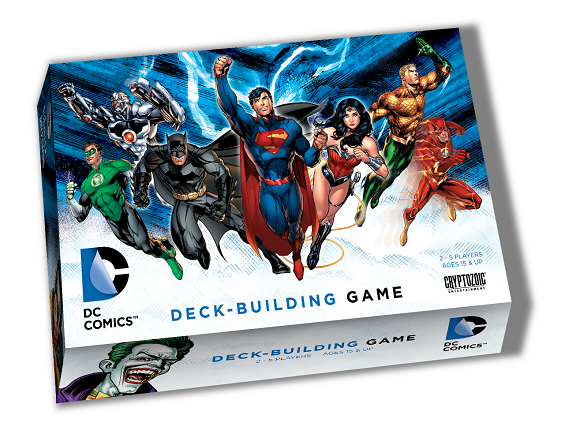 I was woefully disappointed by the lack of complexity and (in my opinion) poor theming in the DC Deckbuilding Game. Conversely, Trains has me considering throwing my copy of Dominion away because it’s so good. Hmm, I had never really considered purchasing All Creatures Great and Small, but I am looking for more games to play with the wife and “animeeple-loving” just about sums up her board game preferences perfectly. You’re going to love Agricola: ACBAS! Spencer – I considered Trains, but the DC Deckbuilding Game is far more approachable and attractive to a wide audience, particularly a younger crowd. That’s sort of the demographic I was shooting for with that suggestion. If you’re really into Dominion, you won’t replace it with DC Deckbuilder, but it could make little Timmy put Dominion away for a little while, whereas Trains may not appeal to him as much.